Promotion Notes: No coupon or discount code needed. 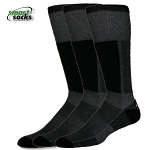 Discount will be applied at checkout for orders placed directly through the SmartSocks.net website only. All orders shipped to US mailing addresses are eligible for free ground shipping. Expedited and international shipping options are available at checkout and reflect carrier rates.